If you’ve been jotting down some ideas for home improvement, a new roof may not exactly be the first project that comes to mind. But replacing that old, damaged roofing can do wonders for resale value. As explained in this guide from HomeAdvisor, a new roof helps reduce cooling costs while also improving curb appeal. How much of an impact can a professionally installed roof have on a home’s value? Keep reading to learn more. Take a moment to think about what’s currently on your to-do list around the house. Maybe you’ve wanted to remodel a bathroom or finish the basement. Based on Remodeling Magazine’s 2013 Cost vs. Value Report, a new roof boosts home resale value by a national average of about $12,000. When it’s time to sell, homeowners recoup an average of about 63 percent of the installation cost. 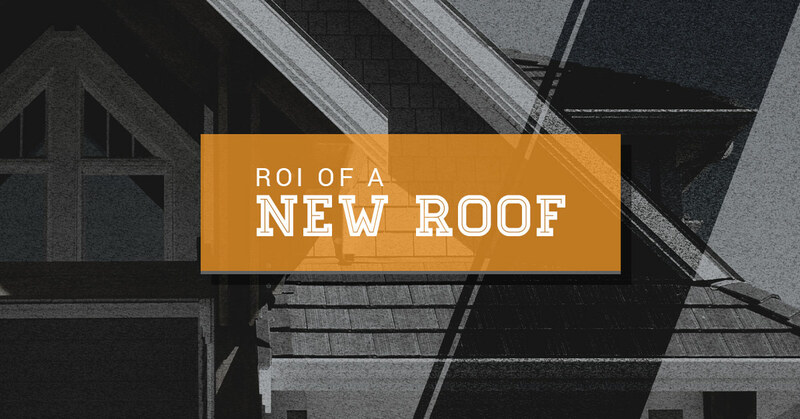 Believe it or not, you actually get more bang for your buck when you opt for a new roof as opposed to that bathroom upgrade. Improved resale value – As aforementioned above, homebuyers appreciate an attractive new roof. Appearance upgrade – Keep in mind that today’s architectural-grade shingles provide texture and color options that look incredible. Roofing services aren’t just limited to a few options anymore. Whether you want to achieve a modern or rustic look, your local roofing contractors can help make it happen. Longer warranties – Do you remember the days when standard warranties for asphalt shingles were just 15-20 years? Now, those same shingles offer warranties for at least double that. Technology – If you’ve been considering roof repair, be sure to ask the experts about shingles that have an ENERGY STAR® rating. These are designed to reflect solar heat, which can lead to significant savings on your energy bill for years to come. Avoiding inspection issues – You can have the hottest home for sale in the neighborhood, complete with an upgraded kitchen and bathroom. But homeowners tend to forget about the roof until the appraiser or inspector finds it to be in poor condition. No buyer wants an old, damaged roof, which is why replacement is a must. Sands Roofing and Construction has completed over $3 million worth of work in Columbia and Lexington. Since we hold our roofing contractors to the highest standards, every job has a full inspection by the owner upon completion. We aren’t like those other roofing companies that do a poor job and leave you with the bill. Our friendly staff makes it a point to communicate during every step of the process. You can feel comfortable knowing that our professionals will arrive promptly, work efficiently, and complete the job without ever compromising quality. What really separates us from the pack, however, is that we have licensed property adjusters on staff who are very knowledgeable in the insurance claim field. Whether it’s roof repair service, residential roofing, or commercial roofing, we can take care of you.